In addition of all the activities organized to celebrate the International Day for the Elimination of Violence Against Women in our school, the students of 4th C have watched the spanish movie "Te doy mis ojos" (Take My Eyes) directed by Icíar Bollaín, one of the most interesting spanish film directors; a hard film about gender-based violence. We have finished with a forum over the issue. … the Ancient Greeks used to say. So, we planned for our students the opportunity to participate in organized sports activities outside school unit. Our aim was to mobilize teenagers to become physically active in order to maintain exercise as a habitus in their everyday lives as adults. Our motto is: Health with lifelong exercise! 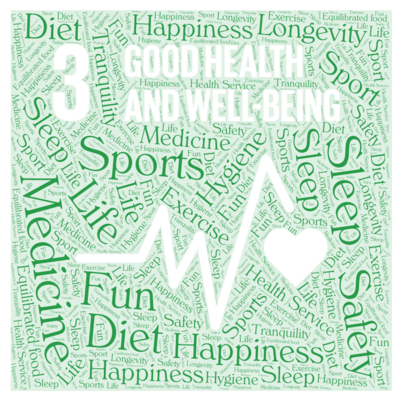 We think that Goal 3: Good Health and Well-Being is very important, especially because we live in a sub-mobile society with overweight children. And we have started to apply it in teenage school life. It is worth the effort. In the context of the implementation of the Erasmus+ program "Agenda 2030: That's our challenge!" and, particularly of objectives 6 "Clean water" and 4 "Quality education", an informative meeting of the Management Body of Pamvotis Lake took place, with our students who take part in the program. 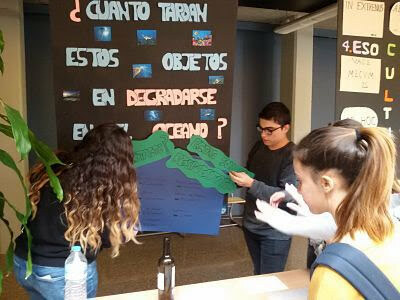 Staff members informed students about the functioning of our city lake ecosystem, as well as of the anthropogenic activities - interventions and the environmental issues that are being caused and ended up playing an interactive educational game with them. Our aim was for the students firstly to become aware of and get engaged in experiential learning in order to integrate their knowledge into relevant school lessons, projects or environmental programs and, secondly, to mobilize the school community on the thematic and related actions of the multifaceted program they are developing. 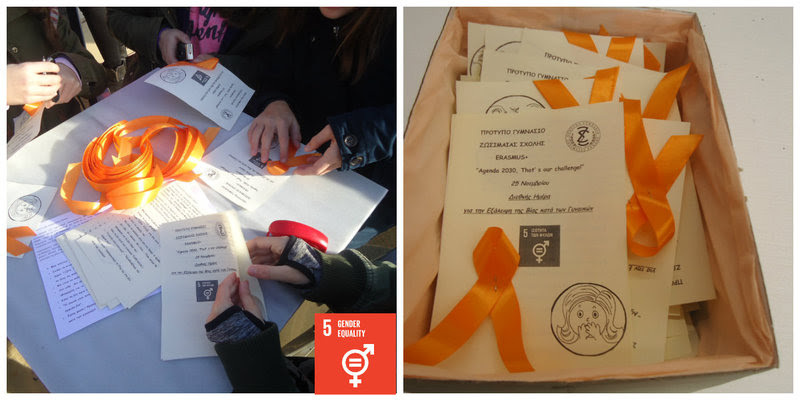 Our action on the International Day for the Elimination of Violence Against Women has been very successful today. 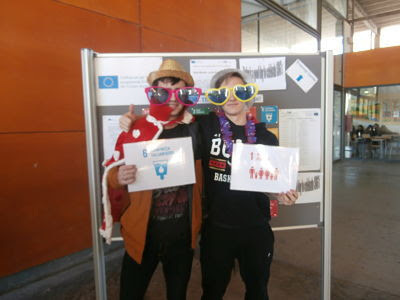 The Erasmus students were at 11.30 at the central sidewalk, in order to inform our fellow citizens about this crucial issue. 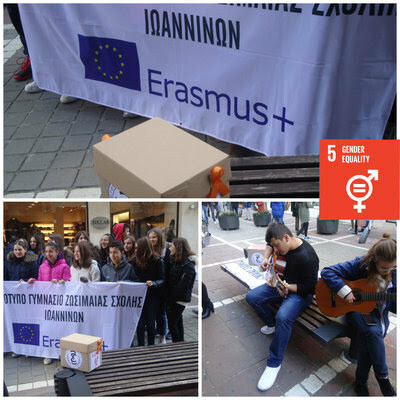 Under the guitar sounds of two of our classmates, we distributed leaflets with our slogans inspired by the thematic of this special day, expressed our views to the interested passers-by and stated our presence in the TV channel camera. The response of the public has been great and we have received many congratulations on our initiative. We have done in our school several actions to celebrate this date and raise awareness of Goal 5: "Gender equality". - Photo and writing contest. - Protest with pots and pans. - Sale of violet glasses to help Lilith: a women association. 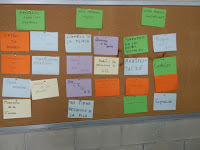 - Formative talks for the students. - Work on the activity "From where I Stand" of the World's Largest Lessons. 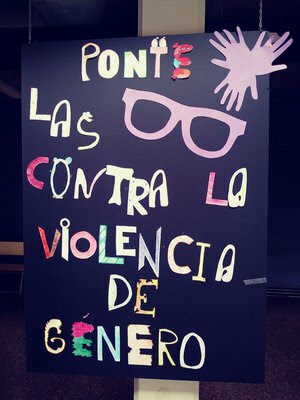 - Workshops against women violence. 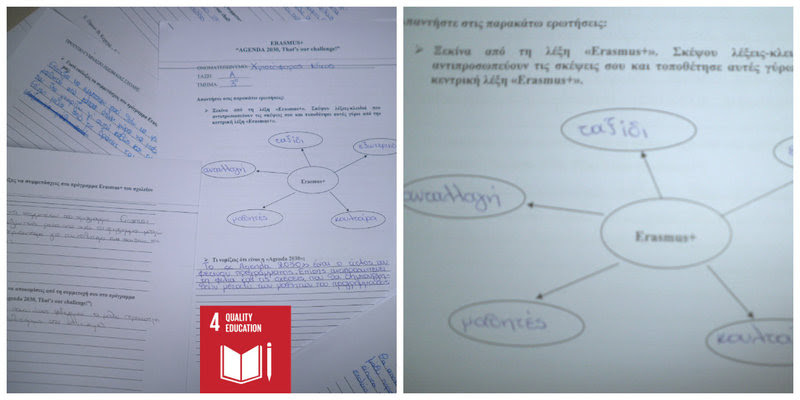 The first stage of our students’ familiarization with the Erasmus+ program and the Agenda 2030 was successfully accomplished by filling in the worksheets with the questionnaires and the brainstorming process. As a follow-up to this, the students gathered key-words about the program and processed them by applying a “wordcloud” in the symbol of Earth. 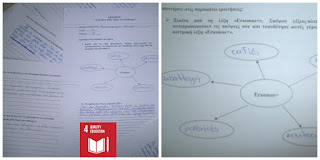 Thus, the use of ICT is embedded in our learning practice in an interesting and joyful way (Goal 4: Quality Education). Would you like to do something similar? Our program starts! 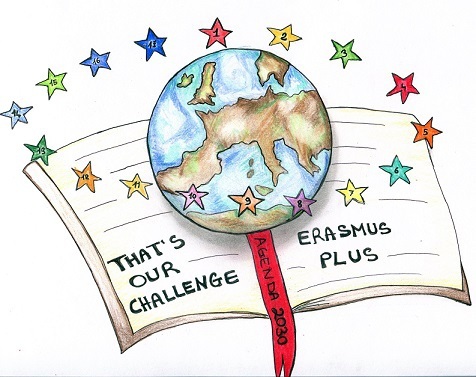 But what is actually a European Erasmus + program? 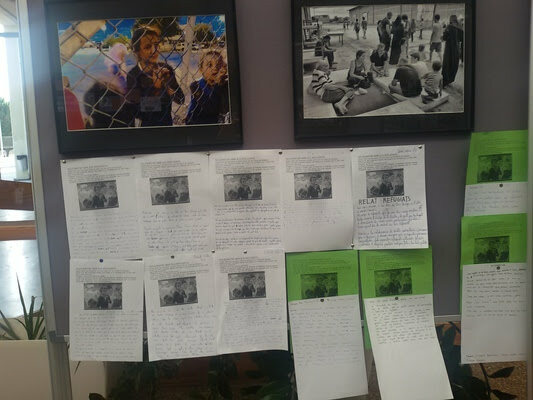 Our students initially seek information on the internet with the guidance of their teachers and note what they consider important. Then, they focus on Agenda 2030 and its 17 goals, get inspired by the logos and, through the brainstorming process, they write down their first idea of the program content and purpose, as well as the expectations of their participation in it. They work methodically with the team-collaborative method, collect and evaluate their answers. 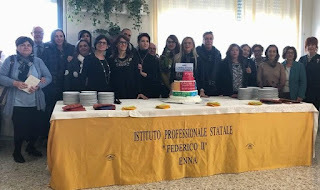 Their enthusiastic experiential practice is the best guarantee for the successful continuity both for Goal 4 "Quality Education" as well as for the other goals of the program in general. Today is a good day to celebrate SDG's!!! 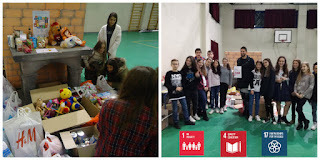 In our school we have done a special action to give to know the Global Goals. This action has consisted in doing photos with posters with the Goals. 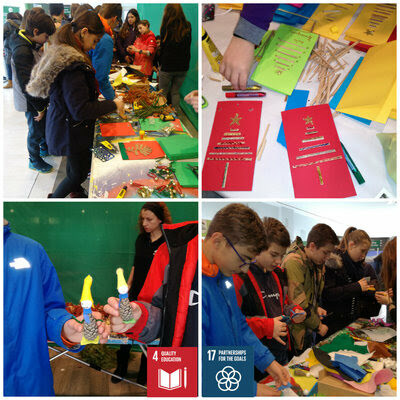 We encourage to all the schools of the project to do similar actions and upload the photos to the twinspace. 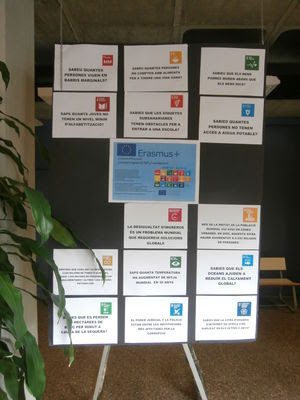 In case that you use instagram, please upload photos there with the hashtag of our Instagram: #eramus_plus_agenda2030. There you can see more photos. We look forward your photos! 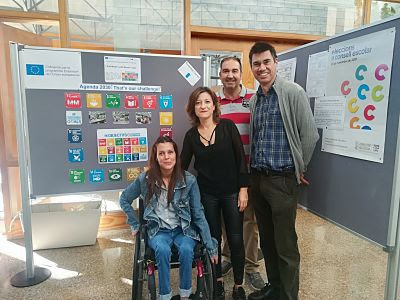 To get to know the colleagues and in order to plan the exchange programs, two of our teachers went to the Erasmus+ teachers meeting from the 09th to 12th October. 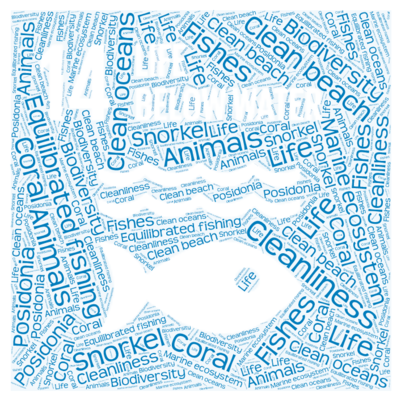 Which city could be more suitable than Valencia at the Mediterranean Sea? Our hosts organized everything wonderfully. After the „getting-to-know dinner“ on Monday evening, two intensive planning days followed. To round off the get-together, the teacher group enjoyed a typical Paella at the promenade. Since the thematic focus, next to the intercultural exchange, is in the foreground of this program, the German teachers decided that each travel phase should be accompanied by one Foreign Language teacher and one Science teacher. Moreover, the other schools took interest in our student companies “Schmids Printing Studio“ and “Carlos Green Paper Shop“ which are focused on sustainable consumption and production. 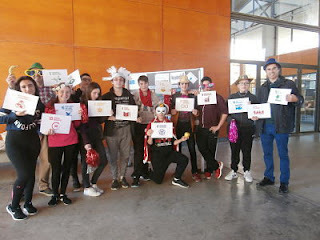 In February the first student group is already taking part in the first traveling phase. 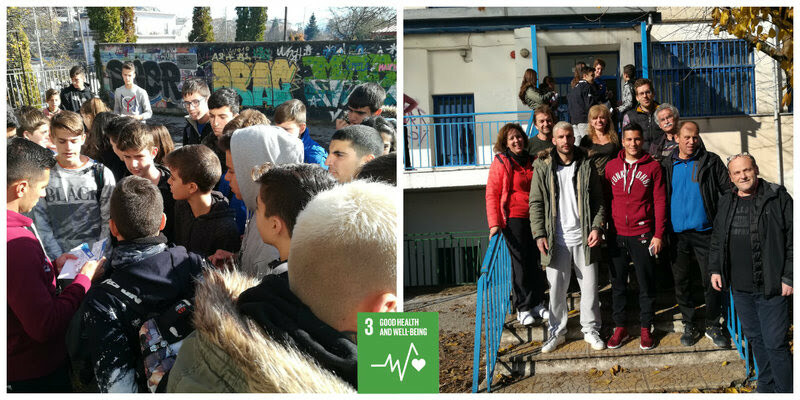 Together with pupils from Spain and Italy, they are going to visit our partner school in Greece. Followed by a trip to Sicily where the students will work on the topics named above. At the beginning of the next school year, more precisely in October, we will receive our guests in Berlin. For the crowning closure of the Erasmus+ project, we will meet back in Valencia in March 2019. If you are interested please contact Ms. V. Pobloth or Ms. Neek at the Carlo Schmid High School. Die Europäische Union stellt bis 2020 beinahe 15 Milliarden Euro zu Verfügung, um den interkulturellen Austausch junger Menschen zu fördern. Wir sind der festen Überzeugung, dass ein Auslandsaufenthalt während der Schule ideal ist, um Erfahrungen in einer anderen Kultur zu machen und darüber hinaus auch im Lebenslauf gut aussieht. 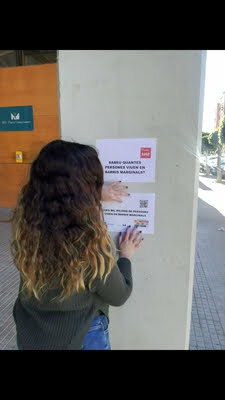 Daher hat der Spanischfachbereich der CSO unter der Federführung von Frau V. Pobloth sich darangemacht, einen Austausch im Rahmen des „Erasmus+“-Programms zu organisieren – mit Erfolg! 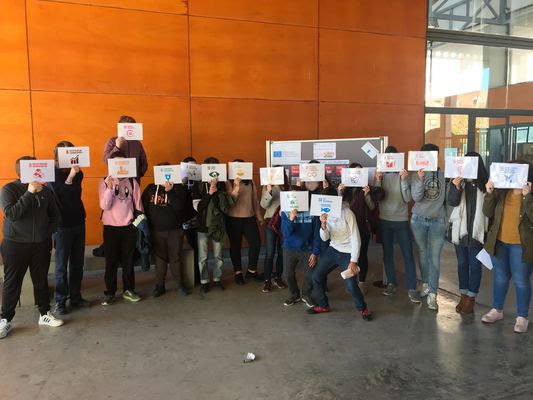 Und so stehen der Schule bis 2019 mehrere Tausend Euro zur Verfügung, um mit Partnerschulen aus Ioannina (Griechenland), Enna (Italien) und Valencia (Spanien) an Projekten zum Thema „Nachhaltige Entwicklung“ zu arbeiten. Um die beteiligten Kollegen kennenzulernen und die Austauschfahrten zu planen, sind zwei Kollegen vom 09.10. – 12.10.2017 zum Vorbereitungstreffen der Lehrkräfte geflogen. Welche Stadt hätte sich dafür besser geeignet, als die herrliche Stadt Valencia am Mittelmeer? Die gastgebenden Lehrkräfte von dort hatten alles hervorragend organisiert. Auf ein Kennenlerndinner am Montagabend folgten zwei Tage intensiver Planung und Vorbereitung, die dann allerdings landestypisch bei einer riesigen Paella an der Strandpromenade ausklingen durften. Da die Arbeit an den Projekten neben dem interkulturellen Austausch im Vordergrund des Programms steht, wurde auf Seiten der CSO beschlossen, immer je eine Lehrkraft aus dem Fremdsprachen- und aus dem naturwissenschaftlichen Bereich mit der Begleitung der Fahrten zu beauftragen. Insbesondere die Schülerfirmen (Schmids Druckstudio und Carlos Green Papershop) haben bei den anderen Schulen wegen ihrer Ausrichtung auf nachhaltigen Konsum und umweltfreundliche Produktion großes Interesse geweckt. Schon im Februar macht sich die erste Gruppe aus Spandau mit SchülerInnen aus Spanien und Italien auf den Weg nach Griechenland. Es folgt im Mai die Fahrt nach Italien auf die Insel Sizilien, wo wiederum alle beteiligten Schulen miteinander an den oben erwähnten Zielen arbeiten wollen. 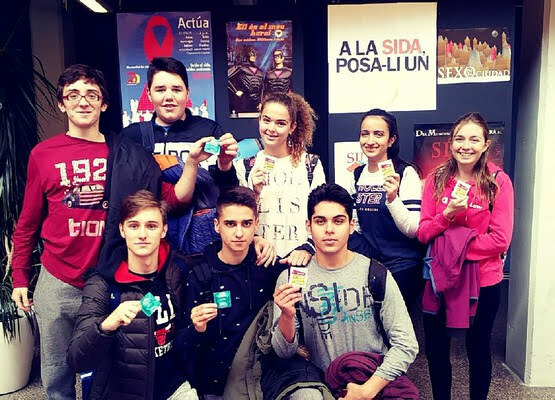 Zu Beginn des nächsten Schuljahres, genauer gesagt im Oktober, dürfen wir dann unsere Partnerschulen begrüßen bevor im März 2019 die Fahrt nach Valencia den krönenden Abschluss des Projekts „Erasmus+“ darstellt. Bei Interesse können sich alle SchülerInnen der Carlo- Schmid- Oberschule bei Frau Neek oder Frau V. Pobloth melden. 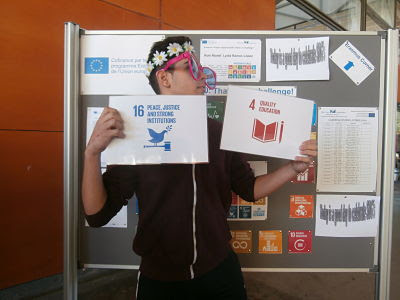 Goal 12 "Responsible Consumption and Production"
According to Goal 12: Responsible Consumption and Production, students should try to apply ecological methods in their everyday life as consumers. 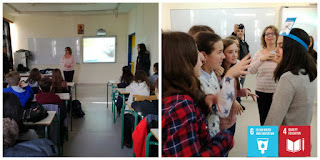 So, while our school is in session, our environmental concern gave us the idea to start a school plastic-recycling program, which seems to be a terrific extra-curricular, educational activity about the environmental impact of trash recycling. 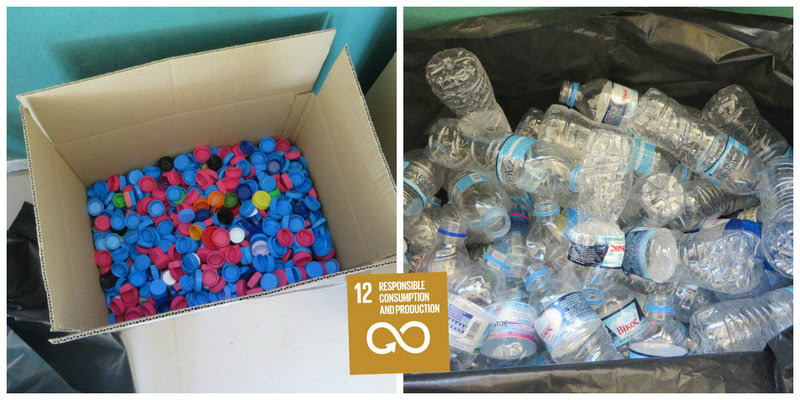 We decided to gather plastic water bottles and lids, involving our colleagues and teachers in reusing activities that can be a lot of fun, as well as useful. In this way, we will prove not only how environmentally responsible we can be when we consume a product, but also when we recycle its packaging. Les étudiants de 4ème ESO C, pendant leur temps de tutorat, regardent le film français "Les héritiers". Le groupe est composé d'élèves ayant de graves problèmes de comportement, de mauvaises performances, de diversité culturelle et religieuse. L'engagement de l'enseignante leur fera prendre conscience de leurs capacités, tout en découvrant des faits historiques d'une grande importance. 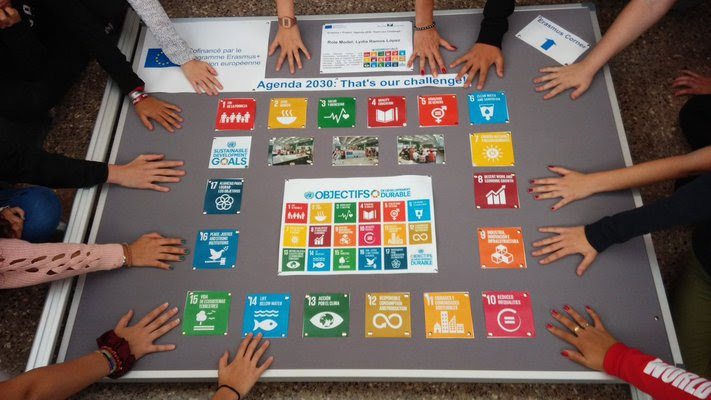 Ce travail se concentre sur l'objectif 4 de l'Agenda 2030 des Nations Unies: une éducation de qualité, dans le cadre de notre projet Erasmus +, ainsi que dans la connaissance du multiculturalisme de notre société. 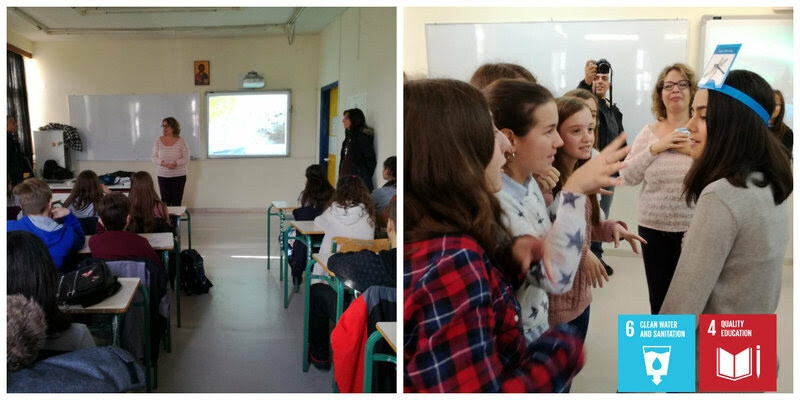 The students of 4th ESO C, during their tutorial time, are watching the French film "Les héritiers" (The history teacher). The group consists of students with serious behavior problems, poor performance, cultural and religious diversity. The commitment of the teacher will make them aware of their abilities, while discovering historical facts of great importance. This work focuses on Goal 4 of the UN 2030 Agenda: Quality education, within our Erasmus + project, as well as knowledge of the multiculturalism of our society. 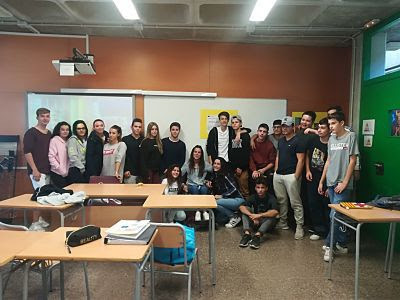 El alumnado de 4º de ESO C, durante su hora de tutoría, está visionando la película francesa "Les héritiers" (La profesora de historia). 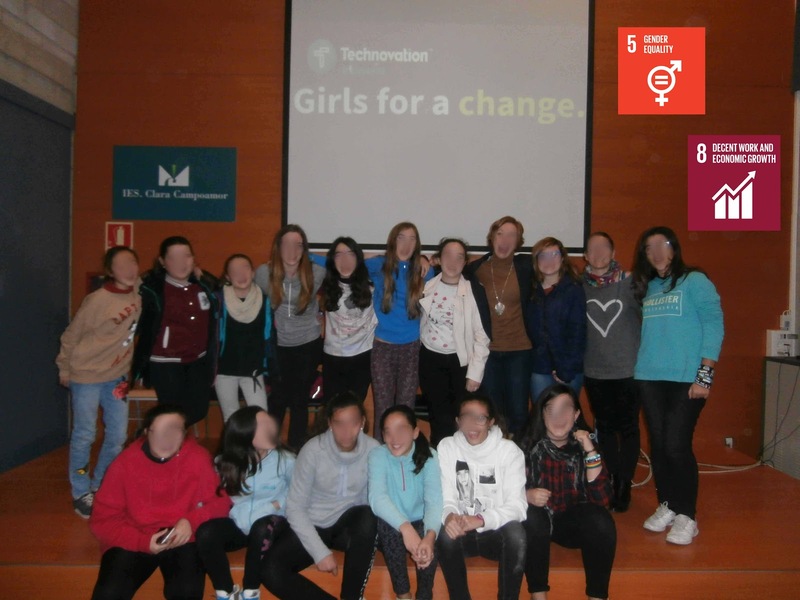 El grupo está formado por alumnado con graves problemas de conducta, bajo rendimiento, diversidad cultural y religiosa. 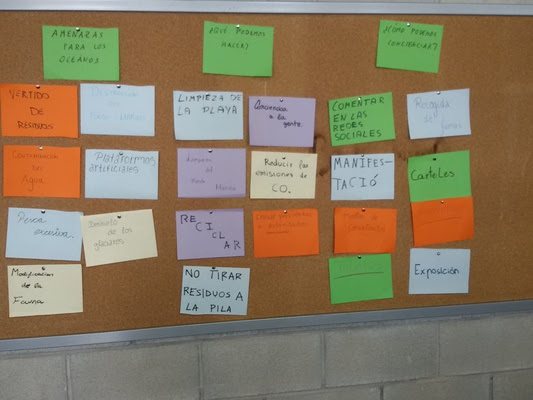 El empeño de la profesora les hará tomar conciencia de sus capacidades, al tiempo que descubren hechos históricos de gran importancia. 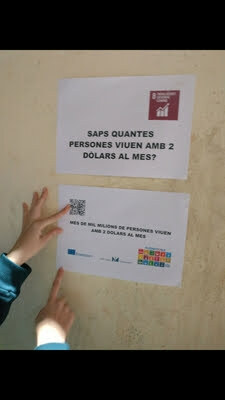 Con este trabajo se incide en el Objetivo 4 de la Agenda 2030 de la ONU: Educación de calidad, dentro de nuestro proyecto Erasmus+, así como en el conocimiento de la multiculturalidad de nuestra sociedad. 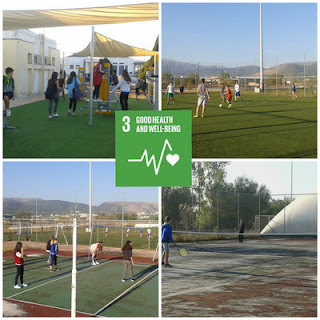 Goal 3 "Good health and Well-being"
The students participating in the Erasmus project: Agenda 2030: That's our challenge, of the IES Clara Campoamor, together with his teacher of physical education, are conducting a study among all the students of 3rd, 4th of ESO and 1st course of baccalaureate. The study covers anthropometric measures, weight, size, BMI; habits of feeding and habits of sport practice (goal 3). The results will be presented soon. On November 9, starts the Indoor Football Championship; the group phase will be held until the month of may, on Thursdays, during the recreation time. All courses of 1st and 2nd of ESO will participate, except 2nd A, in the Group of 1st cycle; in the other Group will participate all courses of 3rd, 4th ESO C, FPB (Basic Professional Formation) and CFGM (Professional Trade Cycle). 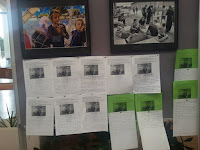 The calendar of matches is posted on the the bulletin boards. 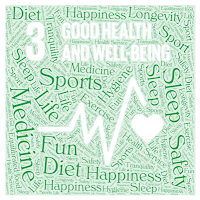 The practice of sport is one of the goals of the UN Agenda 2030, the third: health and well-being. 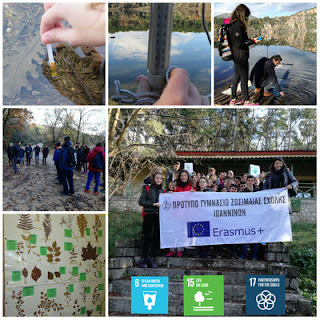 With this project we participate in Erasmus + Project of our Center. 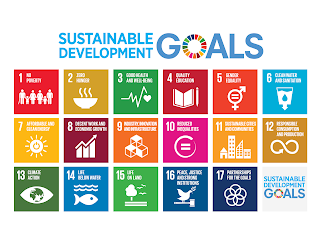 We want to raise awareness about of the Global Goals in our school. 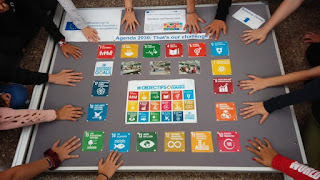 To do that we have prepared different questions to think about the Global Goals. After a week we will give the answers. 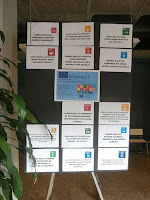 We have done a poster with them and we have also distributed the questions in the classes. 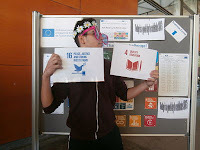 Goal 16 “Peace, Justice and strong institution” includes the resolution of conflicts without using violence. 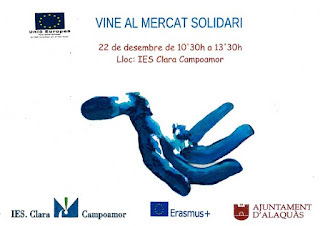 In the IES Clara Campoamor we have a group of mediation to avoid problems with others by helping each other. The objectives are to avoid conflicts, listen to the problems of others, to talk to each other. The mediator proposes solutions so that it does not happen again. All the students can be a mediators, but it is necessary go to do formation. 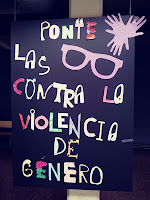 We are formed about bullying, of gender violence, how to solve problems for students… etc. In addition, we are going to start a mentor program to be more supportive with others, to help other people with their problems in class, in different subjects. 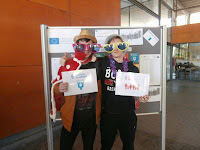 Being a tutor isn`t only about helping others, it definitely helps us too, like a chain of favors. 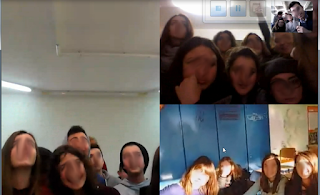 The people that participates in this program has been taught to empathize with other students and have done activities, like writing sentences to motivate others, like “ go on , you are strong” and to recognize also sentences that can demotivate like “you are a waste of time”. 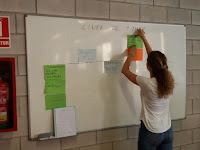 Working on Goal 14 "Life below water"
In the secondary school IES Clara Campoamor we have already started to prepare our Erasmus about the objectives of 2030 diary. We have raised three questions. 1.What do we think that the project will bring us? 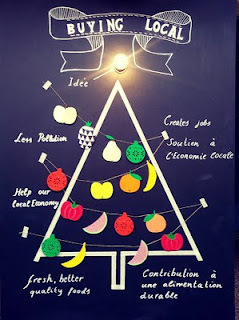 2.What do the project contribute to our environment? 3.What we have done until now? 1. 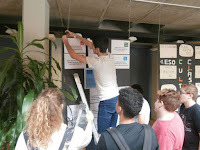 The project will give us consciousness about the actuals problems like the climate change or the deforestation. 2. 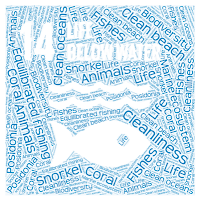 We think that the project will bring us a clean environment where we can live better than now. We are going to work on goal 14. 3. 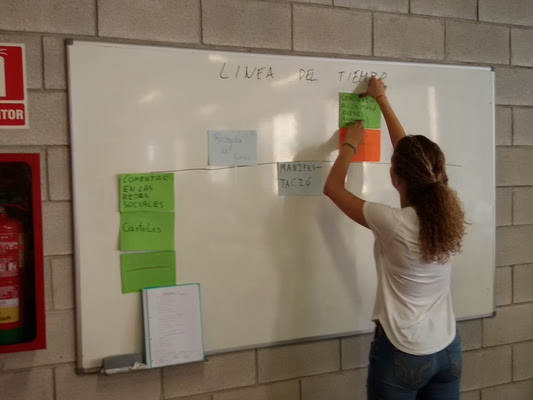 First we have analyzed the problems that there are in the ocean, then we exposed the solutions that we can do for ourselves,finally we we did a timeline for organize our actions. We want that all the people know us in social networks, we want make a career as a way of protest, we want to go to the television and radio,we want make manifestations and we want make expositions and conferences. 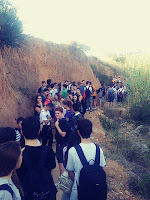 Hicking trought the "Barranc de l'Horteta"
El alumnado de 4º de ESO del IES Clara Campoamor de Alaquàs ha realizado una actividad de senderismo por el Barranc de L'Horteta de Torrent, dentro del Proyecto Erasmus +: Agenda 2030, That's our Challenge. Además de disfrutar de la caminata, el paisaje y los restos arqueológicos relacionados con la utilización del agua, han limpiado la zona de desperdicios, una pequeña contribución al cuidado del medio ambiente. Thanks for giving us an example to follow! 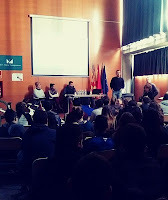 The Paralympic national champion of swimming and adapted cycling gave a talk to the students of Basic Professional Training (BPT) as a "Role Model" that helped us to motivate our students in achieving the goals 3 "Health and Wellbeing", 5 "Gender Equality" and 10 "Reduction of inequality" of the Agenda 2030. " Lydia Ramos showed us a great example of how motivation and personal effort allow us to achieve goals that before we were not capable of imagining. She also commented that discovering sport and all that she was capable, was not only a physical improvement, but above all an improvement at the psychological level. Now she is a happy person who clearly knows what she wants to do in her life. Congratulations Lydia and thanks for giving us an example to follow! Students from grade 9th have visited Alaquàs’ Urban Gardens. 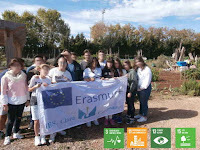 Urban Gardens support the 2030 Agenda and its Sustainable Development Goals, 3 “Good health and Well-being”, 11 “Sustainable cities and communities”, 13 “Climate action” and 15 “Life on land”, protecting and promoting sustainable use of terrestrial ecosystems and halt of biodiversity loss. W will visit Alaquàs’ Urban Gardens with regularity to compare its evolution with our School Garden. Have you got Urban Gardens in you city?. We want to see and compare them with ours so it would be a pleasure if you send us pictures and comments. From 10th to 12th October 2017 took place our first Transnational Meeting in Spain. 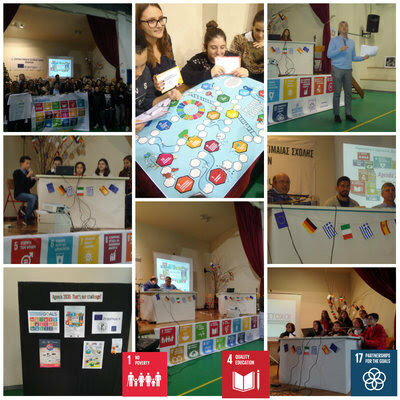 We made the most of our time together talking about many issues related to our Erasmus+ Project “Agenda 2030: That’s our challenge!”. Working together we have made agreements in the way we will collaborate to achieve our goals. Besides, we have highlighted the main milestones of our project, for example, the importance of a good project management, a broad dissemination of results, real collaboration and cooperation between students and a common agenda to succeed after two years of efforts. Thank you very much for your enthusiastic participation!! !